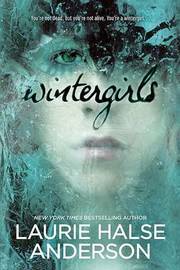 12.5% of people buy Wintergirls and I Never Promised You a Rose Garden ~ Paperback / softback ~ Joanne Greenberg. The New York Times bestselling story of a friendship frozen between life and death Lia and Cassie are best friends, wintergirls frozen in fragile bodies, competitors in a deadly contest to see who can be the thinnest. But then Cassie suffers the ultimate loss--her life--and Lia is left behind, haunted by her friend's memory and racked with guilt for not being able to help save her. In her most powerfully moving novel since Speak, award-winning author Laurie Halse Anderson explores Lia's struggle, her painful path to recovery, and her desperate attempts to hold on to the most important thing of all: hope. Laurie Halse Anderson has received both the Margaret Edwards Award and the ALAN Award for her contributions to young adult literature. She has also been honored by the National Coalition Against Censorship in recognition of her fight to combat the censoring of literature. She is the author of the groundbreaking National Book Award finalist and Printz Honor Book Speak. She is also author of the critically acclaimed YA books Prom, Twitsted, Catalyst, Wintergirls, and The Impossible Knife of Memory. She has also authored a number of middle grade titles including The Vet Volunteers series, and the historical fiction Seeds of America Trilogy, which includes Forge, ALA Best Book for Young Adults Fever 1793, and the National Book Award finalist and Scott O'Dell Award-winner Chains. She and her husband live in northern New York State. Follow Laurie on Twitter @halseanderson and visit her at madwomanintheforest.com.